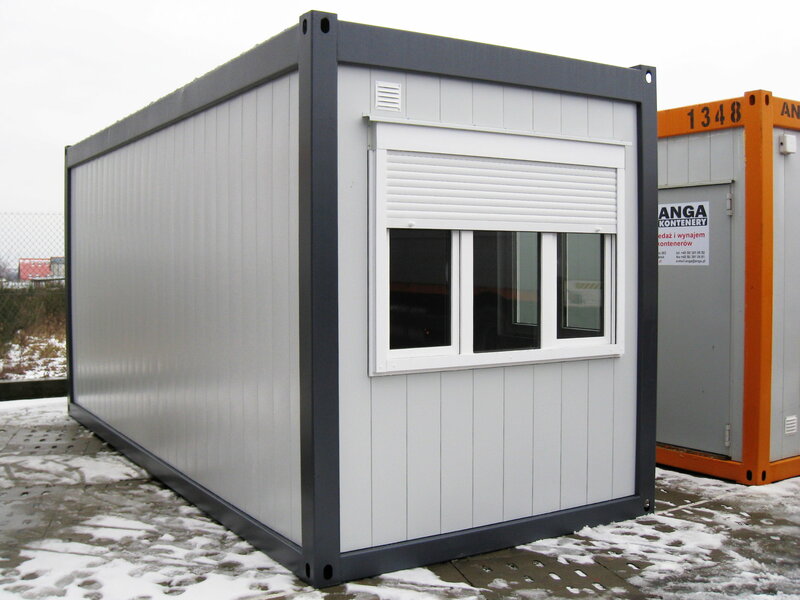 We can produce a container of any size. 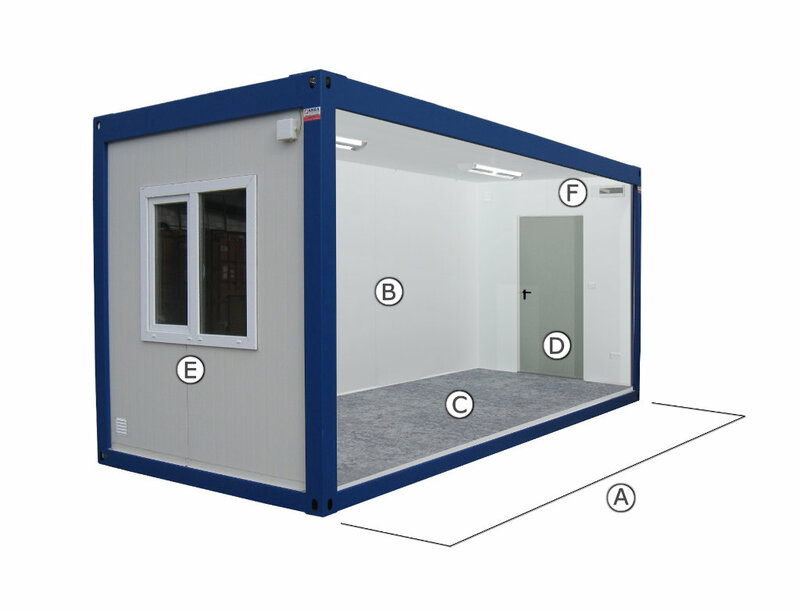 Maximum dimensions of a single module are length x width = 8 m x 3 m. Larger surfaces are achieved by combining modules into container sets. 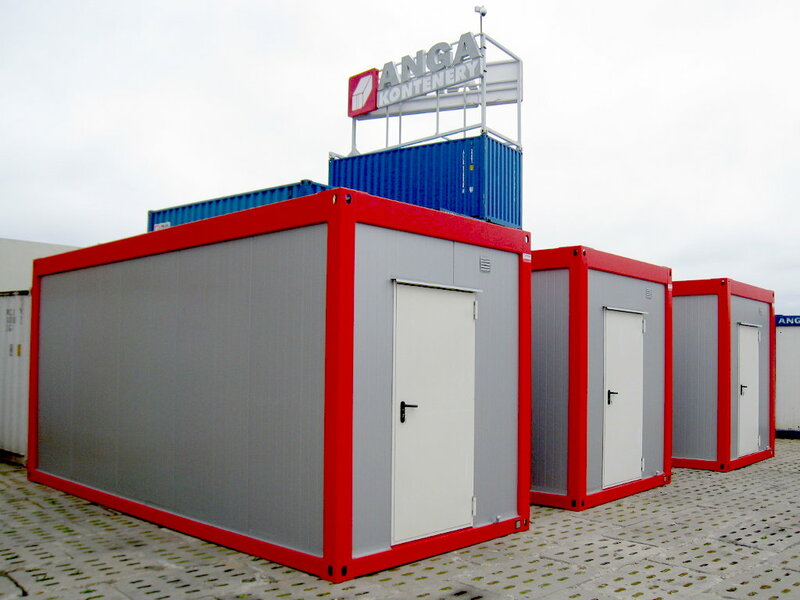 Container walls may be made of various materials with various insulation properties. 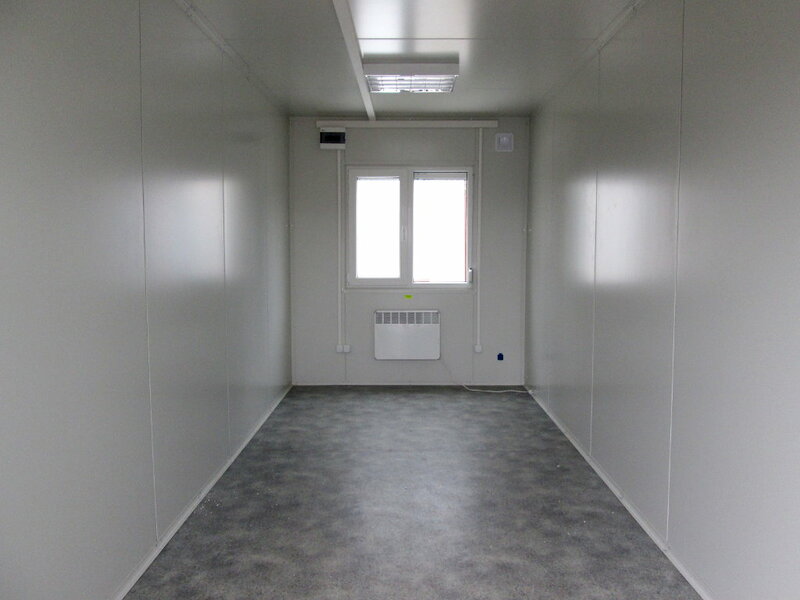 Below we present example types of walls and their parameters. 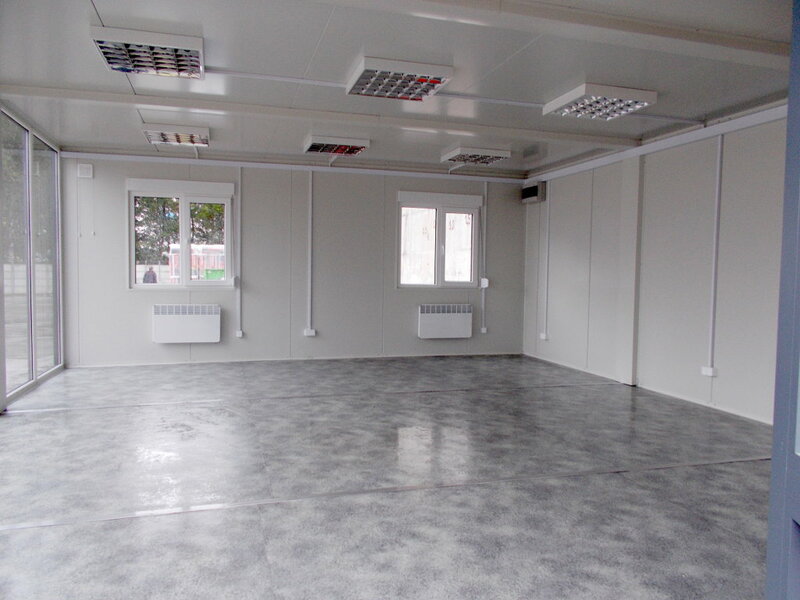 Container floor is insulated with mineral wool with min. thickness of 120 mm. We use top quality PVC carpets of class 34/43. 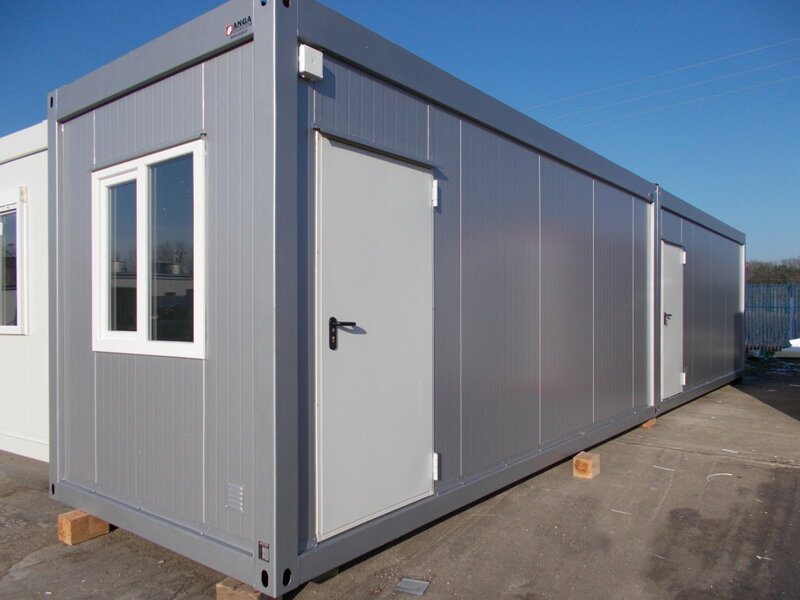 As a standard we use steel insulated doors of the Hörmann brand. Upon request we may provide French, glazed doors of PVC or aluminium. 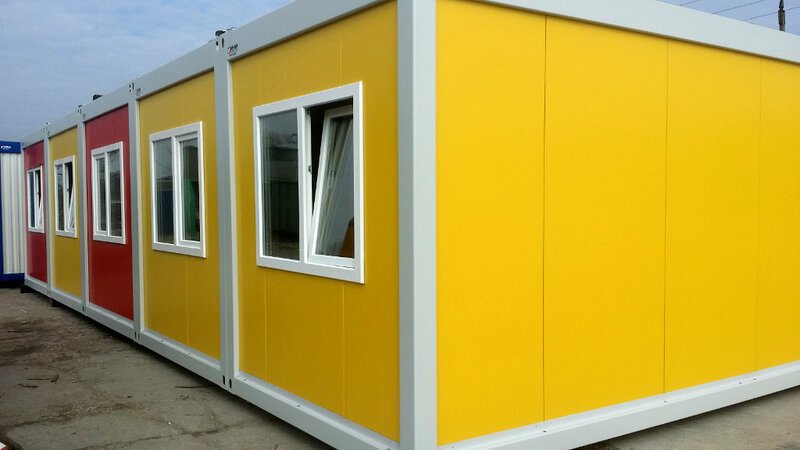 In a container we may install windows of any size. 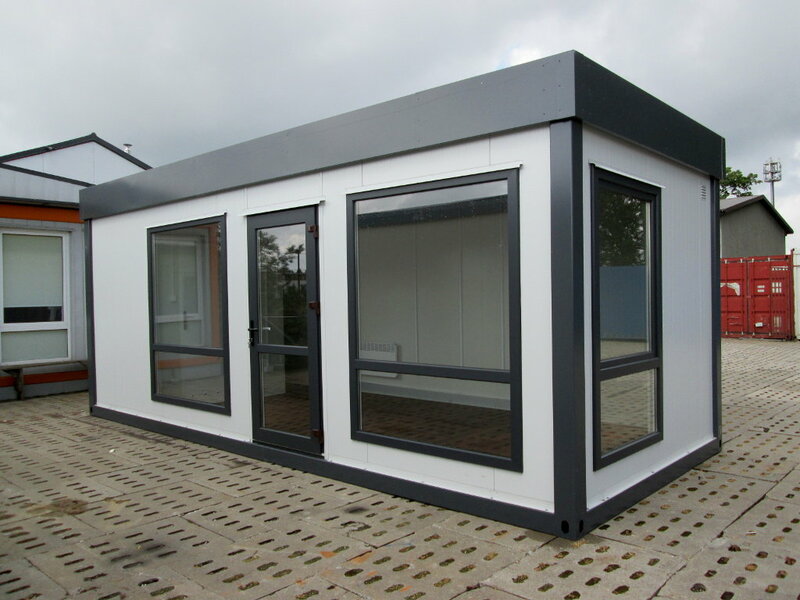 PVC or aluminium joinery in a variety of colours is available. External rollers are another option. 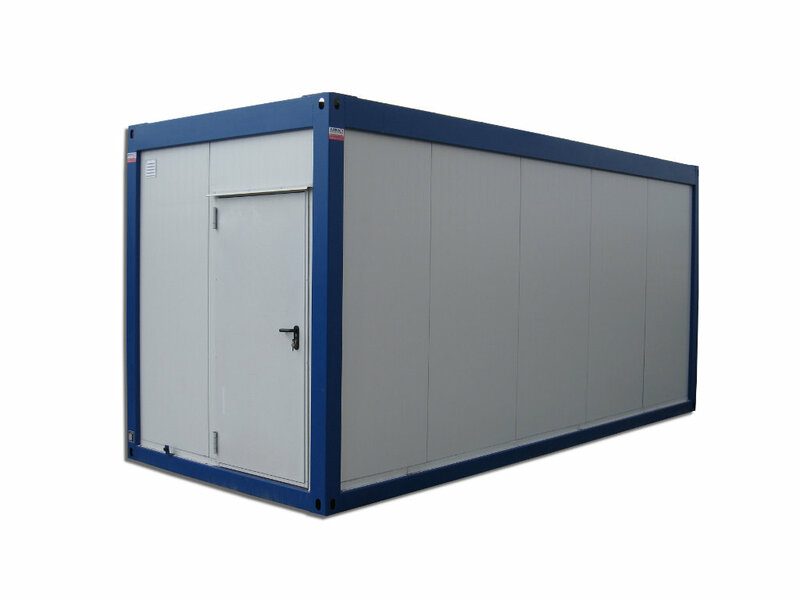 As a standard a container is equipped in comprehensive electrical and lightning system. Electrical radiators of the renowned Atlantic company provide heating. Upon request we may install air-conditioning and other equipment. 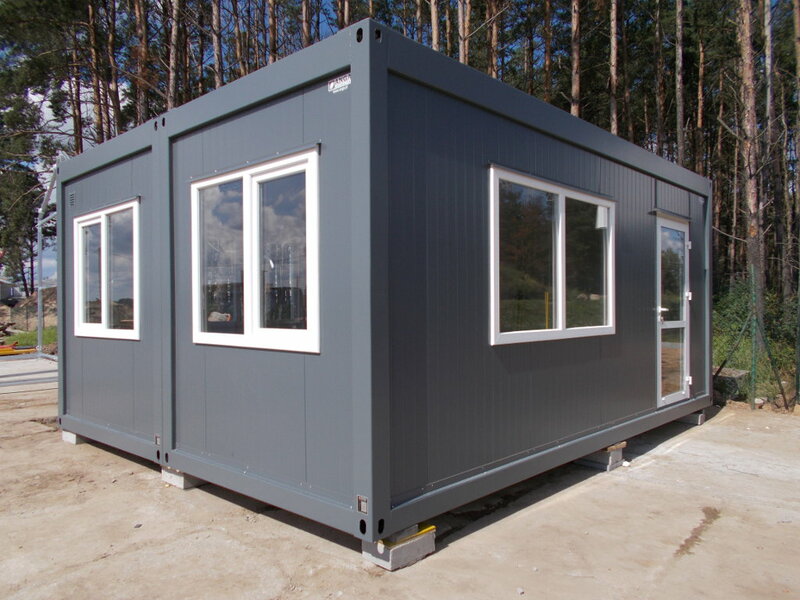 Contrary to traditional construction, production and supply of containers is very fast. On average after 4–6 weeks of the order you can enjoy your container. After connecting utilities it is ready for use. So, only a couple of weeks are needed to create a point of sale, or a new office of a couple of hundred of m2. Our containers may be made in any size depending on your needs. 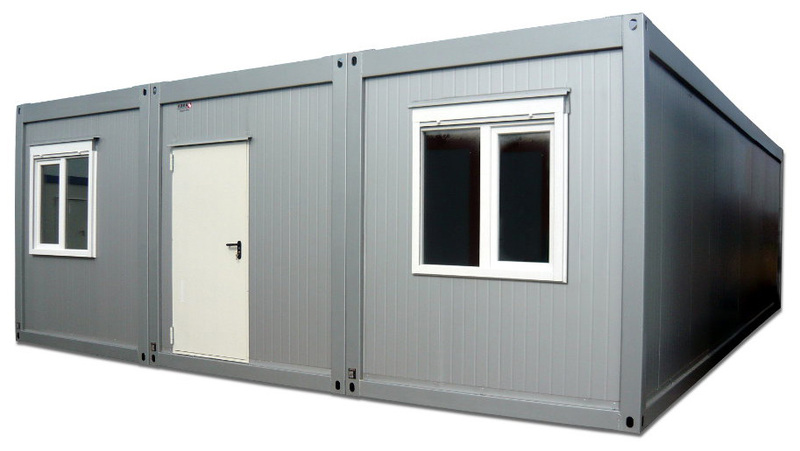 The basic module of 6,058 x 2,438 may be reduced in to any size or enlarged a maximum of 8,000 x 3,000. 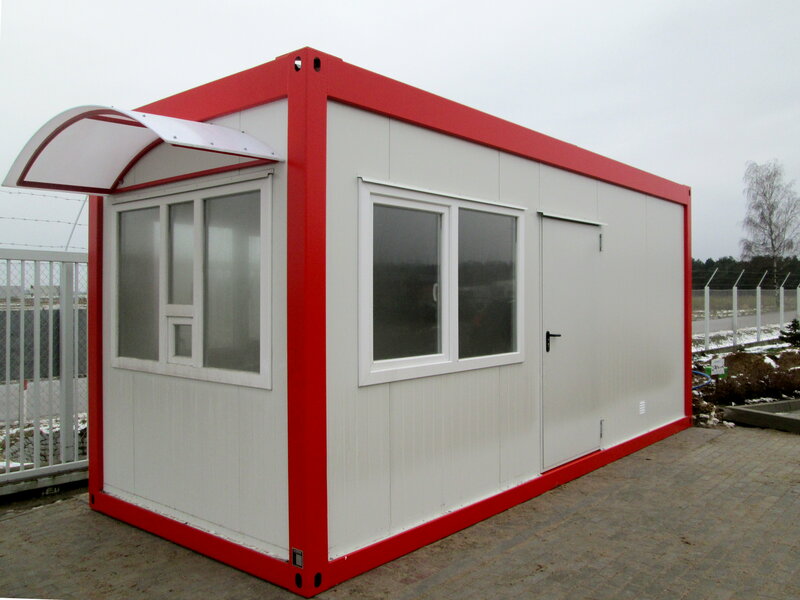 For larger surfaces modules can be combined in sets of a couple of even a couple of dozen of containers. 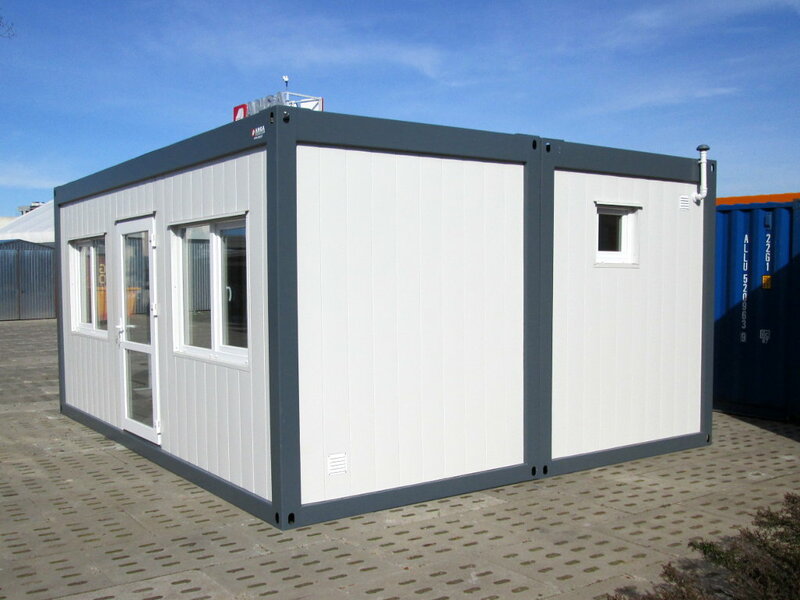 Each of our containers may be individually configured to match your needs and equipped in additional elements as you wish. 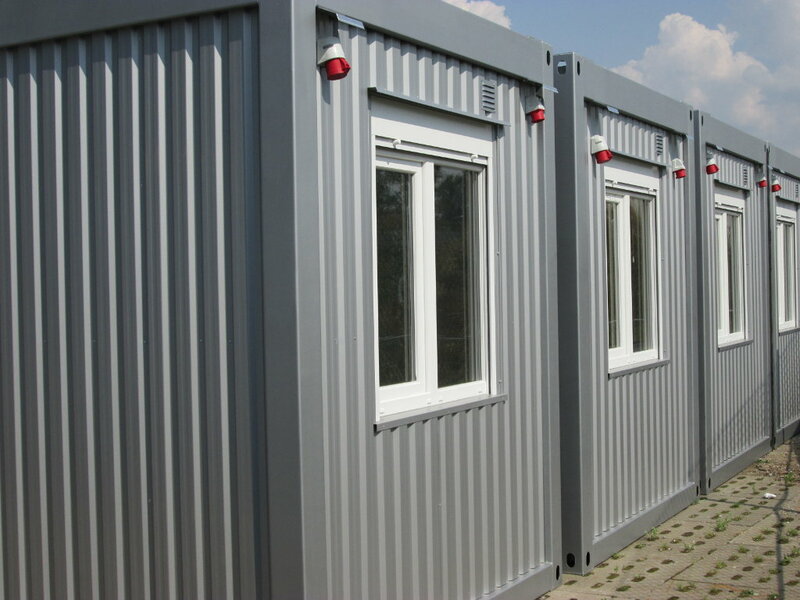 We have been supplying office containers for companies in any possible industry for more than 25 years. 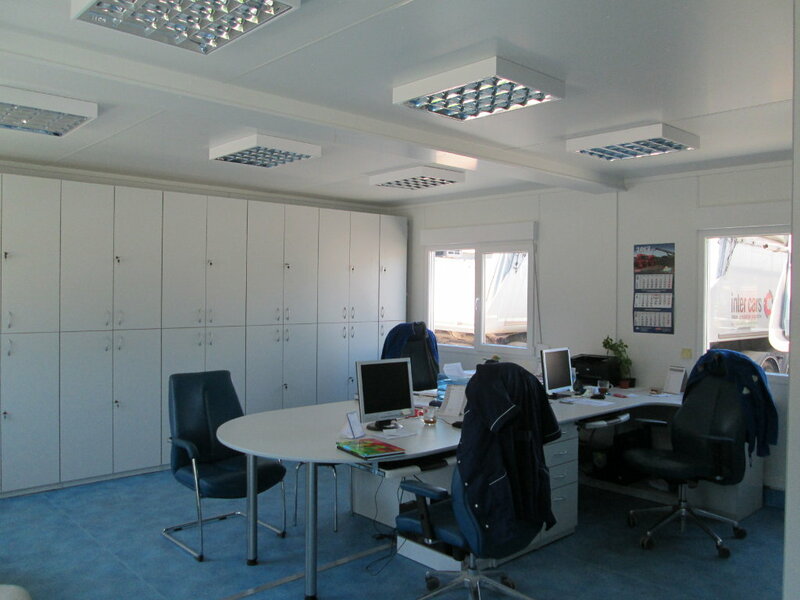 Trust our experienced specialists and send us a request describing your needs and we will prepare an offer for you.